In the v3.5 update we are expanding the Arid tileset by introducing Thunder Route 99! 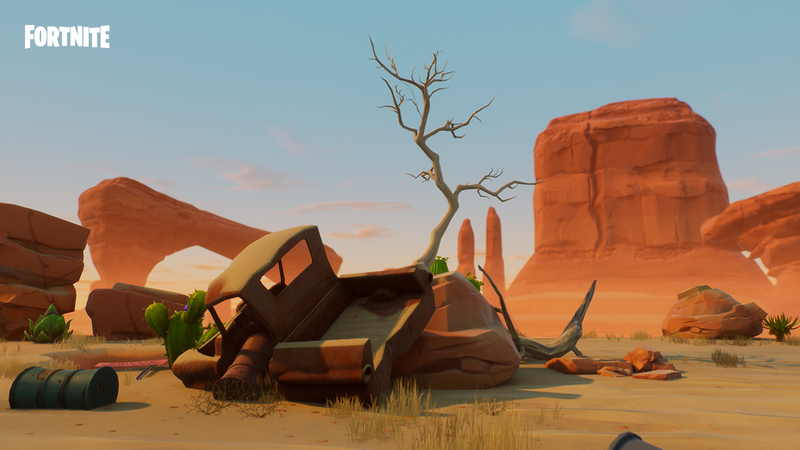 This new area will be the stage for the upcoming Survive the Storm event, with a brand new layout, and gorgeous visuals set in ablazing hot desert. Thunder Route 99 is a lost highway, where before the storm, travellers would stop along their way for food, gas, entertainment, or refreshments before continuing on their way. Today, it is a wasteland of forgotten vacations and afternoon drives. As you venture off of the road, campsites, old run down refineries, and mines scatter the landscape, in addition to a few unfortunate vehicles that could not make it back to the road. The landscape is perilous, watch out for snakes! 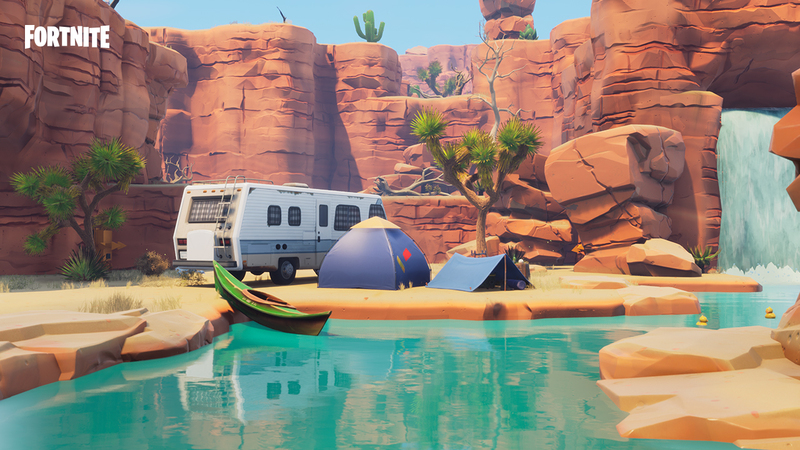 In Thunder Route 99’s Survive the Storm mode, you will be defending generators located around a central point of the map where Truck’n’ Oasis, and two rival Diners are located. The storm is relentlessly bearing down on this area, so expect attacks from all sides! Prepare for the night by harvesting a plentiful supply of metal nodes, cacti, rocks, cans, and mechanical objects scattered across the landscape. 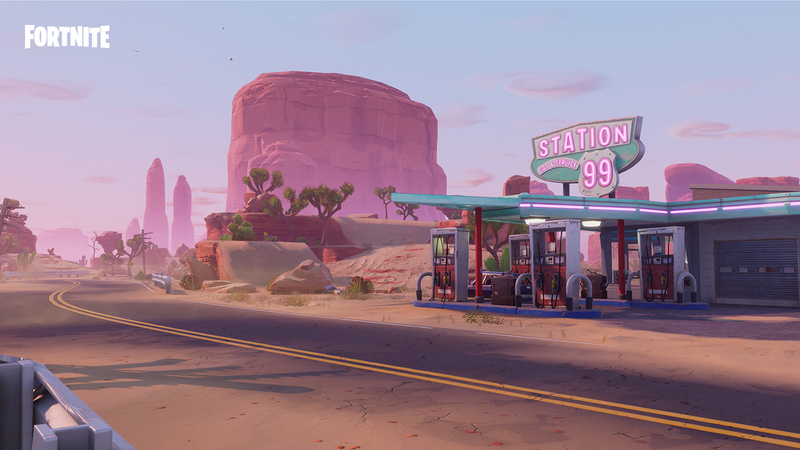 When designing the locations in Thunder Route 99, we created the diners and gas stations to be relatable, but unique from the current content we are all familiar with in the Suburban, Urban, and Industrial zones. We didn’t want to reskin a building and jam it in and call it done, we’ve been playing with creating more uniquely shaped roof architecture, two story open areas, and broadening the props we use to create believable diners and truckstops. It is very important to us to provide new content, and add more variety to the world of Fortnite. We are very passionate about the worlds we create, and the stories we are able to tell. The Art and Level Design team are very excited about Thunder Route 99 and we really hope you all enjoy the event! Good luck on the 7 day PL70 runs, and see ya in game!